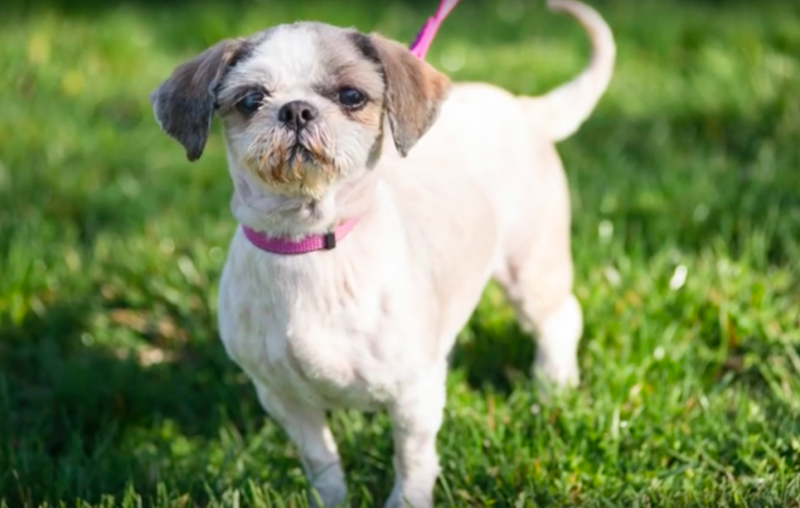 This dog, later named Raggedy Ann, was found frantically running around in the streets of Dayton, Ohio, and almost got hit by a car. She was all alone and terrified and had nowhere to go. Thankfully, a Good Samaritan spotted her and got her off the streets before she was in the same bad situation again. She lucked out once by avoiding the car, but the next time she might not have been so lucky. The Good Samaritan brought her to the SICSA Pet Adoption Center for help. Poor Raggedy Ann was so filthy and her hair was so matted and overgrown that you couldn’t even see her paws. 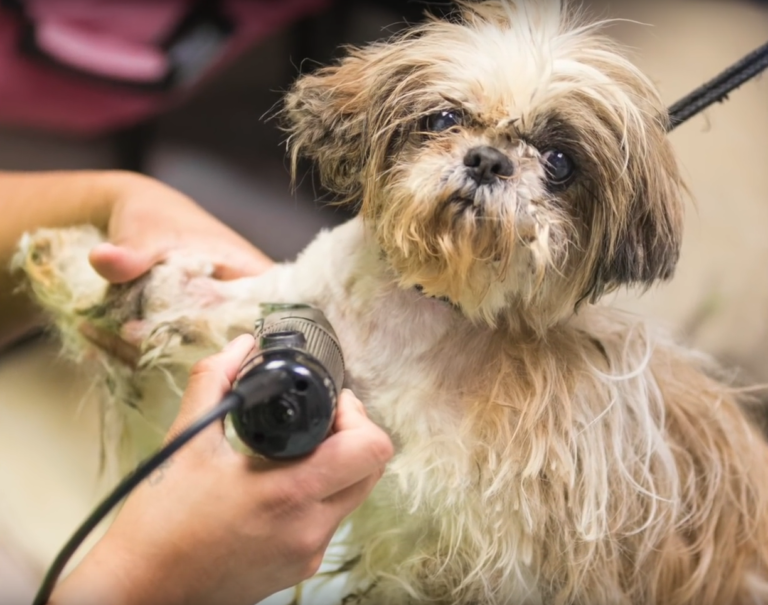 She could barely see through the dirty clumps of hair that hung over her eyes, and she started to smell from the feces that was caught in the mats of her hind legs. SICSA’s groomer spent hours grooming Raggedy Ann and gently removing all of the mats and tangled hair. Her paws alone took all afternoon, due to the heavy matting and growth around her nails. 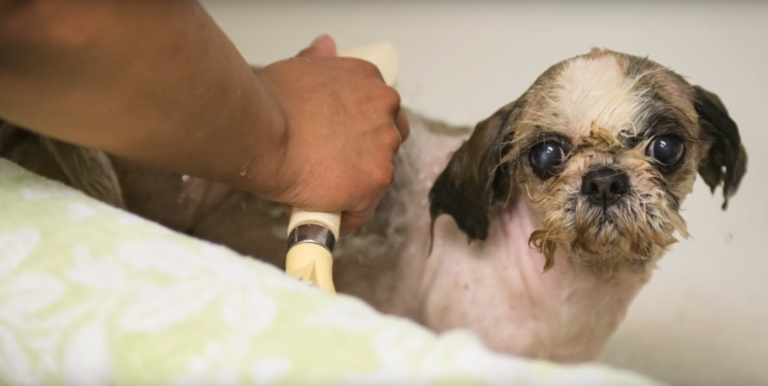 Once she was done being groomed, they gave her a much-needed bath. Mats can be very painful for dogs, but luckily she is now clean and no longer in pain. With her new name and new look came a new beginning; a second chance at life. Raggedy Ann was put up for adoption, and it didn’t take long before she found her forever family! They renamed her Luna and she is doing great! She loves running around in her new yard and taking naps with her two new doggy sisters.